As we already discussed, we think we found a good option for the bag material, but, if possible, we also want change the basic appearance of the bag. Using what we had on hand we tried our a few unique bag configurations. I really don’st have a clue where to find food safe, microwavable adhesive but I needed to build bags to test. Our old sewing machine did the trick of mending the seams. I know I have already said this but we need the bag to be distinct. The bag is something that all other brands share. Our bag should be an element that helps our brand stand apart. 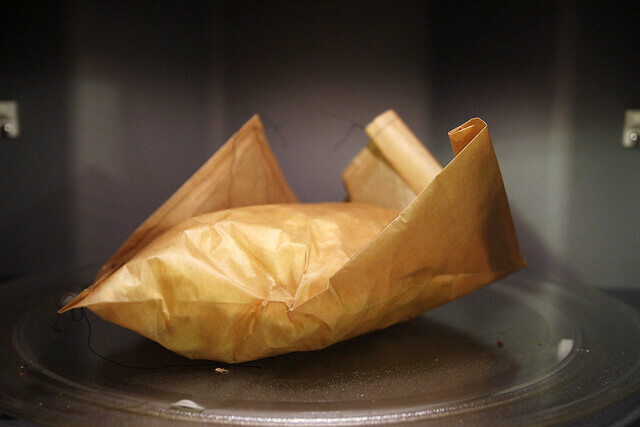 It should reinforce the notion that we are reinventing microwave popcorn. The bag show in the pics is a large square with the corners folded in. The idea was that the bag would ‘sœbloom’s open. Wouldn’st it be great if the bag went through a transformation that added to the excitement of creating your snack? Well this bag didn’st really do that. 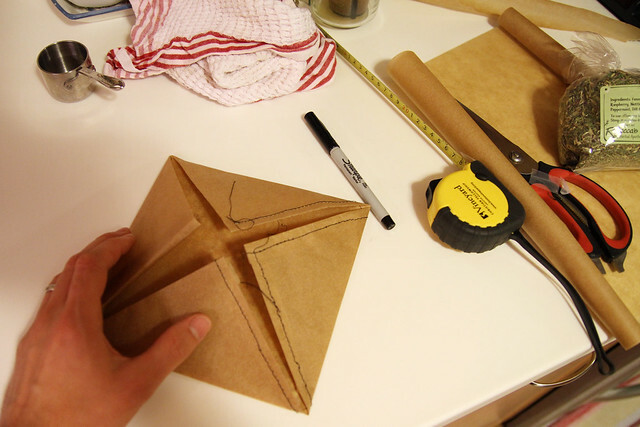 Making a geometry that unfolds naturally is actually quite difficult. The issue with this bag is that when the contents expand it essentially locks the corners down. Fold a piece of paper in half and then bend it over your leg. Now it’ss impossible to undo that fold. Same issue here. If we hope for something more unexpected I think we will need an origami master.